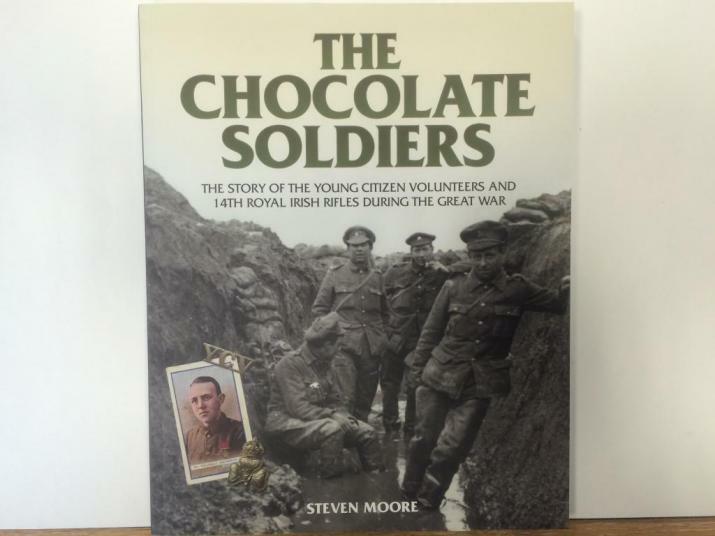 From an interest sparked by a family involvement in the Young Citizen Volunteers and the First World War, author Steven Moore has crafted an extensive, revealing and sympathetic account of the organisation. 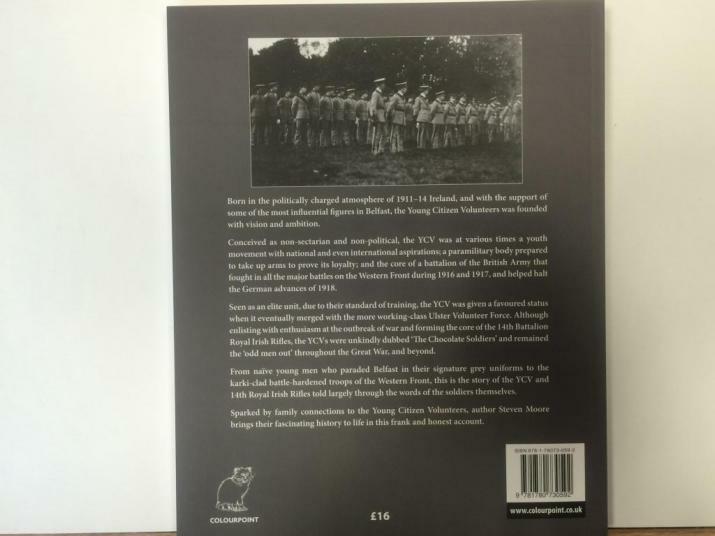 Conceived as non-sectarian and non-political the YCV was, in stages: a youth movement with national aspirations; a paramilitary body prepared to take up arms to prove its loyalty; and the core of a military unit of the British Army that fought in virtually all the major battles of 1916 and 1917. Unkindly dubbed 'The Chocolate Soldiers' and often, in short, the 'odd men out', their story is revealed through photographs and the words of the men themselves.